Hurricanes Happen! : Erika dissipates. Florida continues to avoid. What's next? Erika dissipates. Florida continues to avoid. What's next? UPDATE: And within hours of this post: FRED has formed. 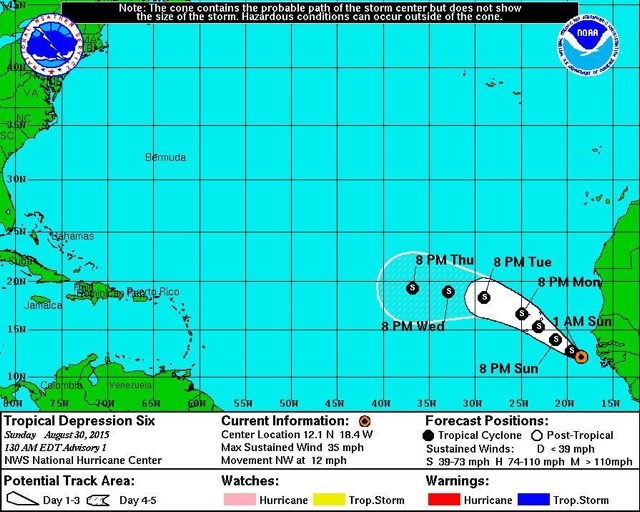 According to the National Hurricane Center, this only the fourth named storm to form east of 19W parallel.